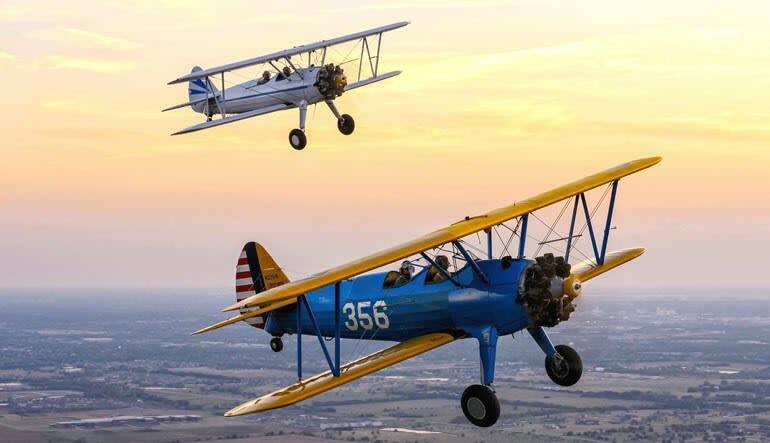 A 30 minute aerobatic fun flight in a vintage Stearman – it doesn’t get much more exciting than that! 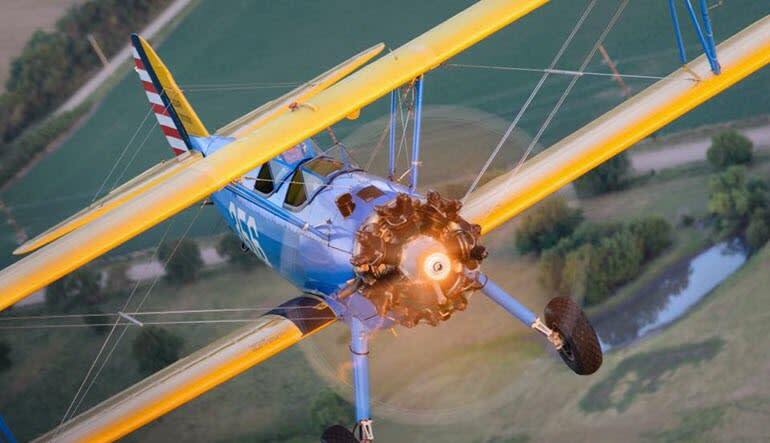 A 30 minute aerobatic fun flight in a vintage Stearman – it doesn’t get much more exciting than that! This is the thrill ride you’ve always wanted. For daring passengers who want to know what it’s like to climb, dive, roll and loop through the air above Warrenton Virginia. You’ll climb to an altitude of 3000ft and then the fun begins. You’ll execute a full Cuban 8, 4 point roll, some wing overs and many other aerial maneuvers. You choose how intense you want the aerobatic maneuvers to be! The thrill of flying in an open cockpit biplane is truly unrivalled. Your aircraft for this journey is renowned and flies in the Flying Circus Air Show. 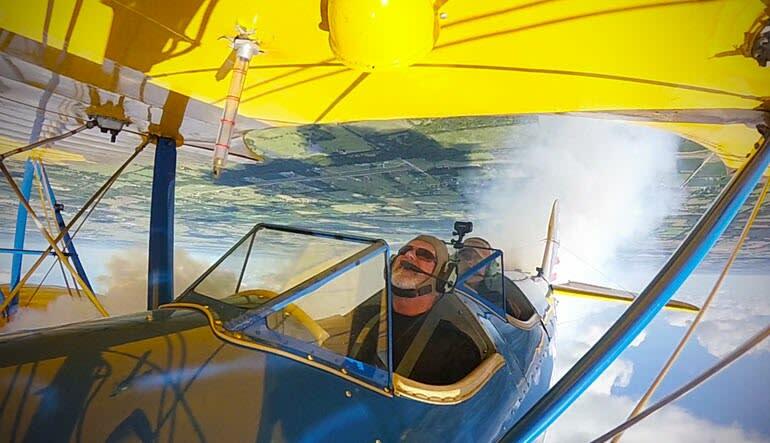 Feel the cool air in the open cockpit by booking you aerobatic flight in Virginia today! Bring your own camera and take as many photos as you'd like! With planes capable of going up to 250 mph and climbing up to 3200 feet per minute, your pilot will take you through an aerobatic routine you'll never forget. Barrel rolls, straight up loops, inverted flights, insane vertical climbs and more may all be part of a routine that is as wild or mild as you like. Book Now!